Two of our adoptable dogs, Brooke and Marley, are getting the opportunity of a lifetime! Both are not good family “pets” because they want a job to do and an outlet for their curiosity and laser focus. Fortunately for everyone Brooke and Marley are getting the opportunity to be trained as search and rescue dogs. 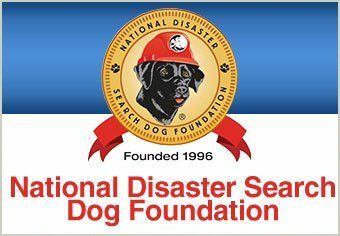 The National Disaster Search Dog Foundation takes dogs such as Brooke and Marley and provides rigorous screening and training to mold them into life saving search and rescue dogs. Each dog is screened for the appropriate attributes and abilities and then heads off to nine months of training at SDF’s National Training Center in Santa Paula, CA. After they have completed the training they are paired with their new handlers during a two-week Handler’s Course. Once they have been paired with a handler it is time for bonding and more training. And finally, the team of dog and handler is ready for certification testing and saving lives. Brooke and Marley will be staying at Field of Dreams Kennel a full service boarding and training kennel (on 73 acres) located in Sweet Home OR. They will be walked 4 times per day in addition to some off leash time playing and screening. They will be screened within the fields and small rubble piles within 10-14 days.